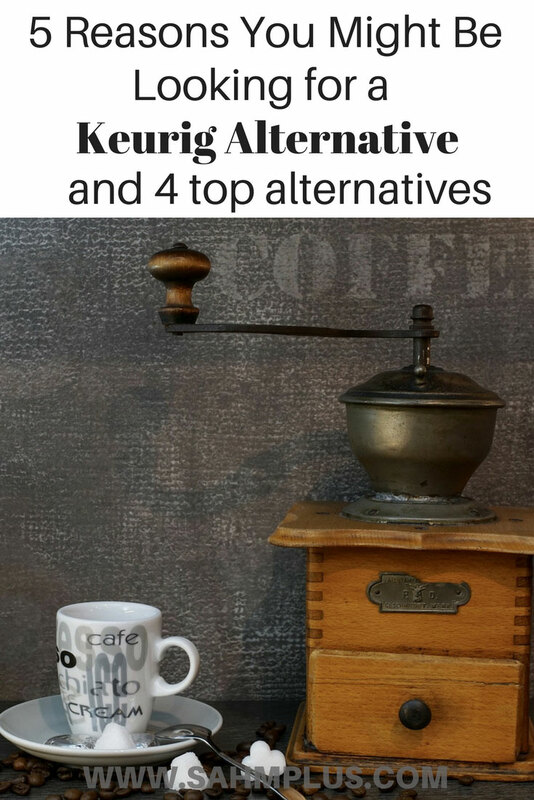 Whether your Keurig machine died (again) or you’re just ready for something new, I’m going to help you shop with 4 Keurig alternatives guaranteed to make you happy. And, 5 reasons to ditch your Keurig machine. I admit we lucked out with Hurricane Irma. And I truly know how devastating Irma was for many folks south of Jacksonville. We were blessed in that the only thing we really lost were a few electronics. Things could have been much worse. But, my coffee maker has never been the same since Hurricane Irma. This was devastating for me. As a busy mom of two young kids, 6 and 2 years, a morning without coffee isn’t a good one. Its peril lead to much research on a suitable replacement for my single cup coffee maker. It was ever so important that my single cup maker be a top choice in Keurig Alternatives because I’d already finalized my break up with Keurig several years ago. 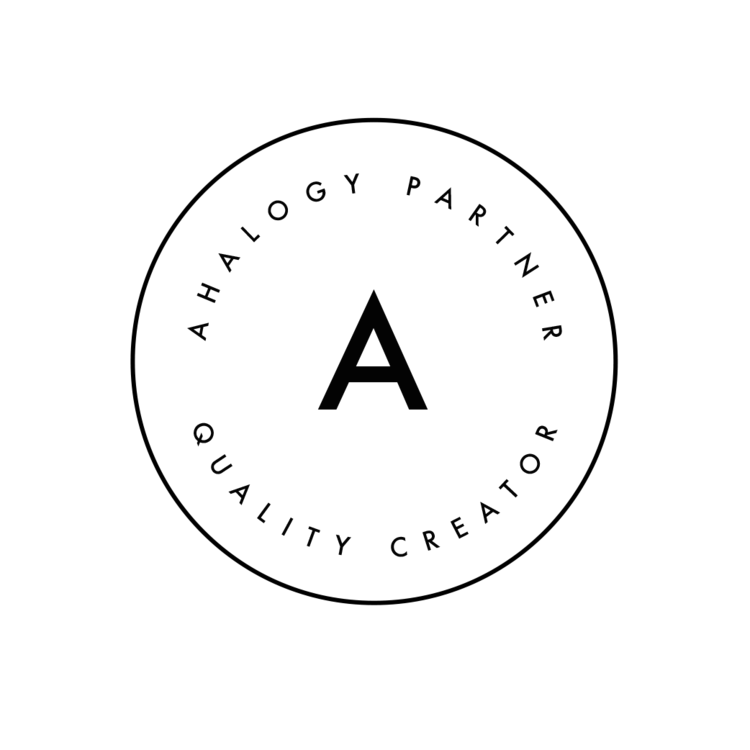 Why were Keurig alternatives important? Because I was tired of the consistently poor lifespan Keurig offered for the price. And, I truly despised they were beginning to require special Keurig pods, either limiting your choices or requiring me to obtain a “cheat device” to make off-brand pods work. These are the best rated Keurig Alternatives I considered when attempting to replace my single cup coffee maker! They die too often for the price. Replacing dead Keurig machines gets expensive and tiring. 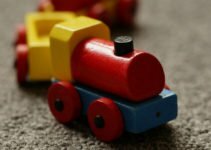 I don’t need the hassle of running out with my toddler to go shopping for a coffee brewer, nor do I wish to wait even 2 days without coffee after ordering from Amazon Prime. 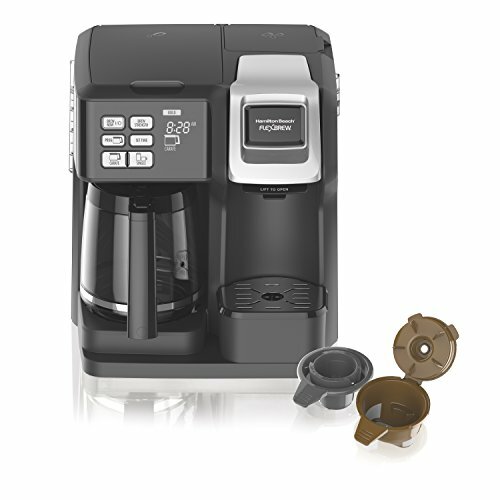 Honestly, most of your coffee makers, if not cleaned regularly and properly, will harbor mold and bacteria. I never found Keurig machines easy to clean. 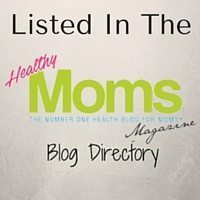 I have enough trouble working on my health without the worry that about mold. Although, I’m certain any machine is capable of harboring bacteria if not cared for properly. Variety is the spice of life, I admit. However, that variety can cost a fortune. If you don’t regularly find sales on K-Cups, it may not be worth the expense unless you really only drink one hot beverage a day. I hated when Keurig decided that you had to use specially marked pods. Thanks, but no thanks. K-Cups & Chemicals, oh my! You have no idea what’s inside your coffee pods … you can’t see or smell them, right? But also, think about the plastic and aluminum filling the landfills. More and more, I’m choosing organic coffee and less chemicals. Replacing my Keurig annually left much to be desired, so it was important to find Keurig Alternatives that would either be less expensive to replace or offer more features for the money. Being able to brew my own coffee from various grinds gave me greater control over my coffee experience. And, I take my coffee very seriously! 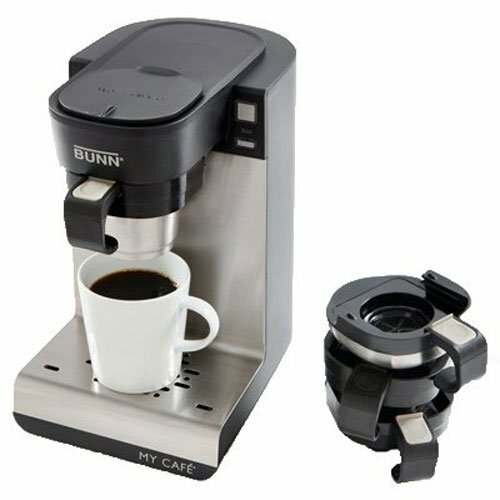 The Bunn was the first and only Keurig Alternative I’d purchased since my Keurig divorce. We found it on sale at Home Depot about 3 or 4 years ago and it’s been running strong ever since. Unfortunately, the electronics must have gotten zapped during Hurricane Irma. Before then, it’s been reliable and I loved that it offered several coffee, tea, & hot water brewing trays for true variety. The only reason I didn’t replace it directly was because I wanted something I could program to brew at a specific time! Having coffee brewing in the morning is one of the ways I crush the school morning rush. I ultimately decided on this Keurig Alternative for my coffee counter. I loved the idea of brewing more than one cup of coffee should I ever need coffee for guests (or after a sleepless night). Truth be told, the programmable feature to brew my coffee at a designated time was a huge bonus. The downside is that the single-cup maker side is not programmable. So, I mainly use the carafe to brew water for my morning oatmeal, which still saves me some time in the long run. This coffee maker had more features than my Bunn for half the price. I believe this made it worth the trial. Should this not live up to the good reviews, I’d be more than happy to purchase another Bunn. I highly recommend upgrading your purchase to the one that includes the permanent filter, so you don’t have to mess with paper filters! This little personal coffee maker currently gets a 4.5 star rating on Amazon. 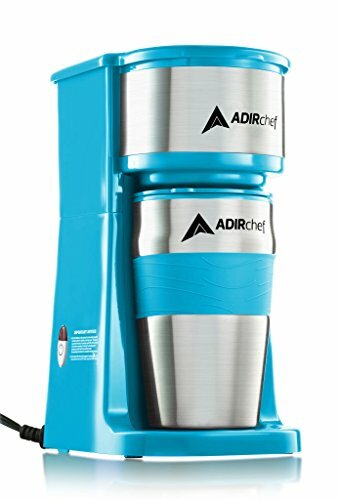 It has a permanent coffee filter, eliminating the need for paper filters AND comes with it’s own matching insulated travel coffee mug. It’s a 15 oz mug, so it should hold plenty of coffee if you have a morning commute you’re concerned about. It’s also power-saving. When the coffee cup is full, the maker automatically shuts off for energy savings. Guys, I was almost convinced I needed this fancy Keurig alternative! At just a bit less than the Bunn, this machine offered multiple pod-free brewing options plus various size drink options. And, I was intrigued by the built-in frother. The more I read about it, the more I felt as though I wasn’t good enough to own this machine. It seemed so complicated and didn’t offer a programmable setting to have my coffee or oatmeal water ready for me. Let’s be real. If I want a fancy latté, I’m heading over to my favorite coffee shop for someone else to take the time to do it right. I’m not learning coffee recipes at home with two young kids scrambling to get ready in the morning. I’ve still got the morning rush to contend with for quite a few years. Do you have a favorite Keurig Alternative? I think I will check out the Ninja one. Also I am gld you all survived the hurricane. In my old town Port Aransas TX they got whooped to say the least. 2 of my old friends ended up homeless. Some good picks you’ve got here. 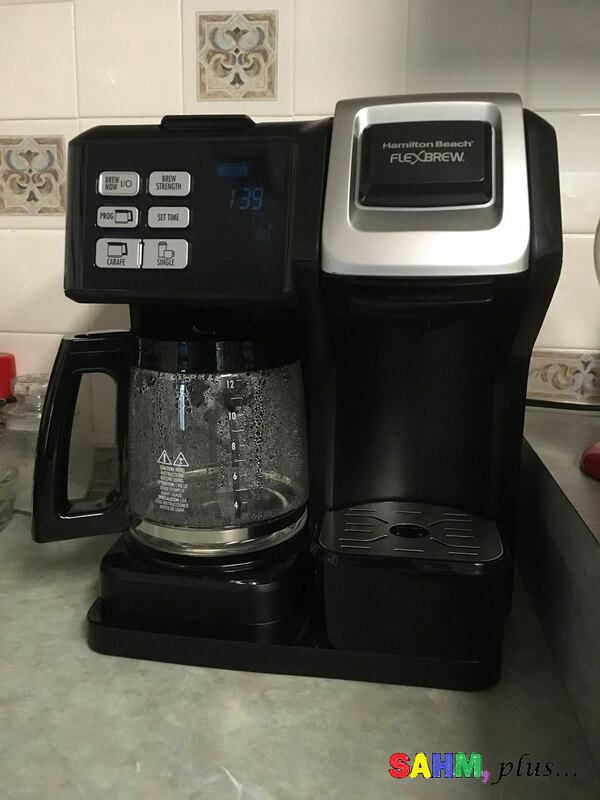 There are definitely better alternative to Keurig as you’ve made obvious with this post. 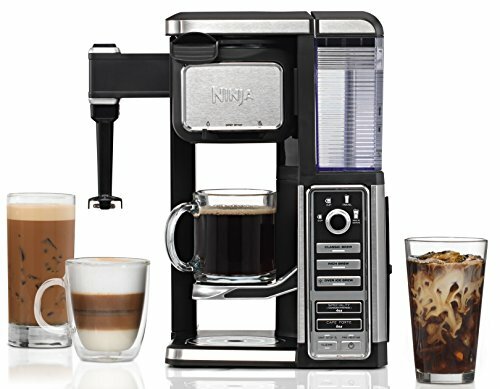 There are better coffee machines which offer more quality and flexibility.